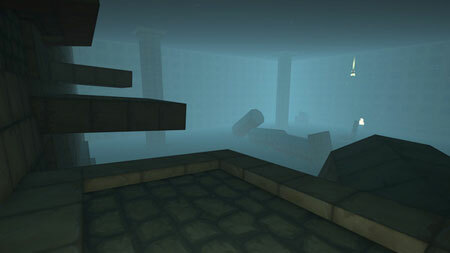 Temple of the Lost is atmospheric first-person exploration and puzzle solving game from Dosinis. You find yourself in an ancient temple, but something is not right. You have lost your abilities. Explore the Temple of the Lost, find your lost abilities, solve occasional puzzles, avoid deadly traps, beat the mazes and find what’s hidden. Slowly uncover the secrets of this temple, while listening to ambient, atmospheric music. Explore huge temple, with lots of mysterious doors and chambers. Solve puzzles to pass through blocked passages where treasures and lost abilities are. If you get stuck in the game, check out the video walkthrough and gameplay for the game. This entry was posted in PC Games, Walkthrough and tagged Temple of the Lost Cheats, Temple of the Lost Game, Temple of the Lost Gameplay, Temple of the Lost Guide, Temple of the Lost Hints, Temple of the Lost Review, Temple of the Lost Solutions, Temple of the Lost Strategy, Temple of the Lost Tips, Temple of the Lost Walkthrough by Marvin. Bookmark the permalink.